Henry Lee Paul has opened Henry Lee Paul, P.A., with offices in Tampa and Ft. Myers. Paul will focus on business litigation and lawyer defense (lawyer regulation and legal malpractice). Mr. Paul has been a member of The Florida Bar since 1985. He has a history of representing plaintiffs and defendants involved in business disputes including complex litigation. 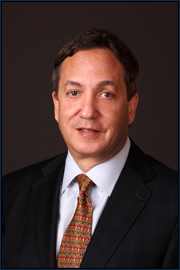 As a founder and former General Counsel of The Tampa Bay Lightning, he has the benefit of hands on business experience. Paul also served as Bar Counsel for The Florida Bar for over six years and served as liaison to grievance committees in Tampa, St. Petersburg, and Fort Myers. Paul has tried numerous bar cases and has presented oral arguments before the Florida Supreme Court.